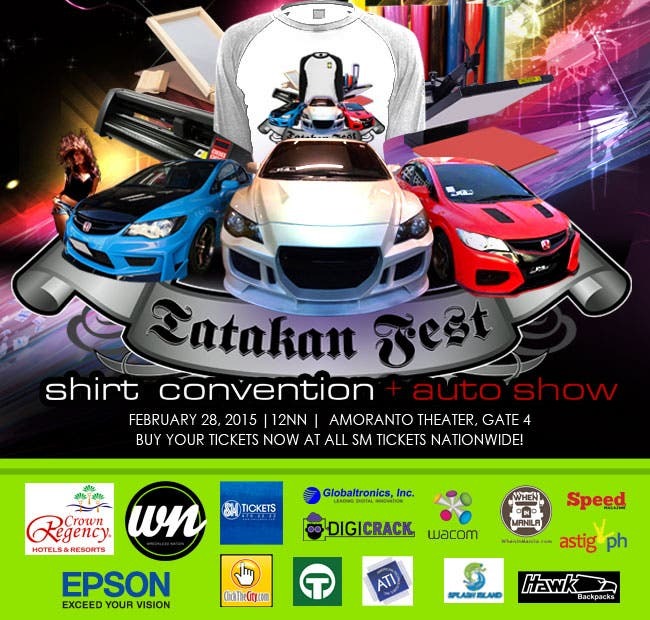 Medium Rare Customized Printing launches another first in the tshirt industry – an event that will be attended by tshirt aficionados as well as students aspiring to put up their own businesses – dubbed as Tatakan Fest ’15: Shirt Convention on February 28, 2015, 12nn in Amoranto Theater, Gate 4 in Quezon City. The Tatakan Fest ’15: Shirt Convention will open its door to art enthusiasts as well as entrepreneurs through this convention. It will focus on latest trends and technology on t-shirt printing industry through the speakers that will discuss the different mediums that can be engaged in this uprising business. The event is sponsored by SM Tickets, Wreckless Nation, Crown Regency, Tulco, Epson, Wacom, ClickTheCity.com, Globaltronics, Digirack, Astig.ph, WhenInManila.com, Splash Island, Hawk Bag, P4 Bodykits, DAE, Sharpie and Speed Magazine, through the effort of the Quezon City government. The shirt convention aims to promote the shirt business that will aid in uplifting the Filipino living and celebrate the Pinoy creativity on art on shirt as main medium. Tickets for the event are now available in SM Tickets nationwide or you may call them at 470.22.22; email mediumraretee@­gmail.com for more inquiries. Medium Rare Customized Tee is an online customized printing that caters to the preference of the customers. It evolved from an online selling business to event management. 28 FEBRUARY 2015 SATURDAY 1:00PM-10:00PM, AMORANTO THEATER, GATE 4, SCOUT CHUATOCO, Q.C. FOR MORE DETAILS, LIKE Medium rare customized tee ON FB. 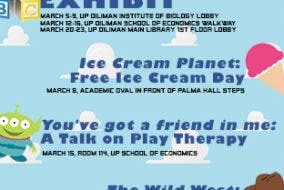 BUY YOUR TICKETS NOW for only p350! Selena Gomez #RevivalTourManila: She Is All Grown Up!